Global FTTx and wireless markets will consume almost 100 million optical devices in 2017, worth some $1.3 billion in revenue to components makers. This is a 22% decline from the last year, which was expected. The decline in demand for optics is related to completion of LTE upgrades in many countries and a pause in FTTH deployments in China. LightCounting expects this market to recover in 2018 and grow steadily in the next 5 years, as shown in figure below. Chinese service providers are expected to accelerate FTTH deployments in 2018 in order to meet the government target of 200 million new ONU ports to be installed over 2016-2018. Sales of 10G PON and optics for 5G wireless infrastructure will lead the market growth in 2019-2022. In the FTTx segment, GPON has the largest annual shipment volume today, but will decline over the forecast period, as the biggest deployments are ending now. 10G-PON has already displaced GPON for current and future deployments of OLTs in China and we expect other countries and operators will follow suit, with a few notable exceptions. [Verizon will begin deploying NG-PON2 next year, albeit for business customers only.] As 10G-PON optics cost considerably more than GPON, this product shift will boost component sales, even as the total volumes will decline gradually. The wireless market story is similar, with peak deployment behind us already. Unit shipments will decline, as in FTTx, while sales will benefit from a shift from 10G to 25G (grey and WDM) optics which will be needed for 5G fronthaul. Smaller volumes of 50G (again both grey and WDM varieties) will add disproportionately to revenues given their high prices compared to slower speed devices. Optics used in cable TV networks are discussed, since the adoption of fiber deep architectures is increasing demand for optical transceivers in this market segment. 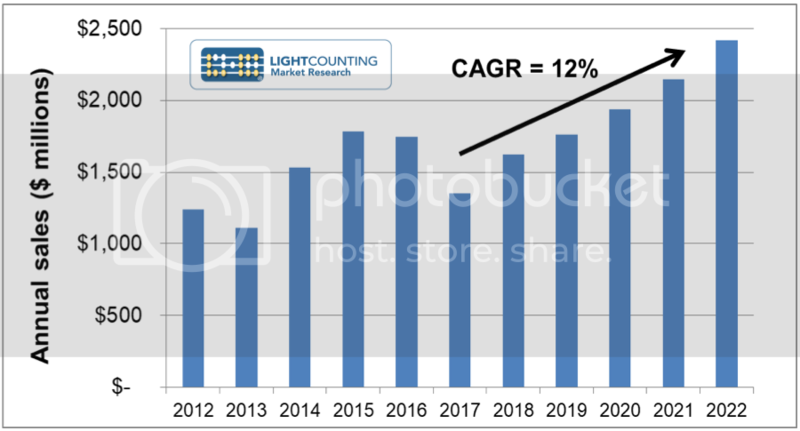 LightCounting’s “Next-Generation Access Optics” report is an update of its 2016 report of the same name. Written by LightCounting Principal Analyst John Lively, this report gives LightCounting’s outlook on future optical access networks, including architectures, service provider deployment strategies and trends, component requirements, and the products needed. Leading vendors of access components are profiled, and historical transceiver shipment trends are explained. Acronyms, and pictorial guides to mobile fronthaul, FTTx, and cable TV networks are included as well. A detailed Excel spreadsheet accompanies the report, providing a five-year forecast of fronthaul, backhaul, and FTTx optics shipments, prices, and revenues, broken down by speeds, reaches, and colors. More information on the report is available at: http://www.lightcounting.com/Access.cfm.